Always crisp & effervescent. Never boring. 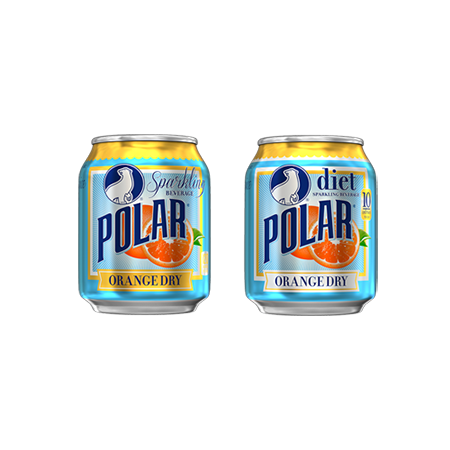 The unique taste of Polar Orange Dry was created in the 1930’s by Boss Crowley, and still today it appeals to folks of all ages for its authentic fruit taste and refreshment. 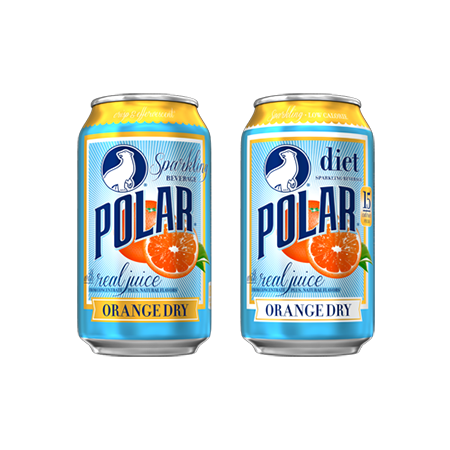 Relying on orange juice, natural orange essence, and twice the carbonation of anything else like it, Polar Orange Dry has tingled the taste buds for four generations. 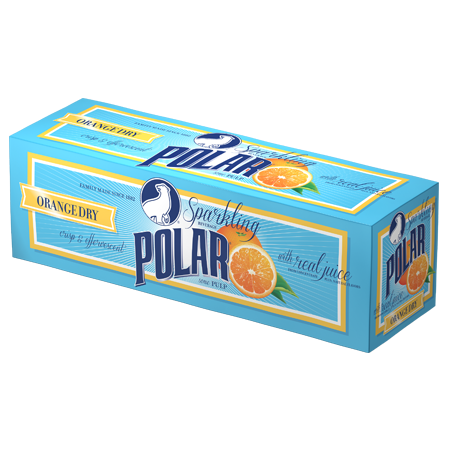 The aroma, the touch of pulp, and the sparkle is what makes Polar Orange DRY a true original. 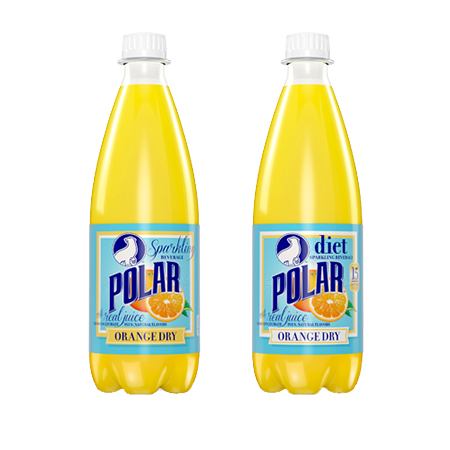 POLAR ORANGE DRY • CONTAINS CARBONATED WATER, HIGH FRUCTOSE CORN SYRUP, ORANGE JUICE FROM CONCENTRATE, CITRIC ACID, NATURAL ORANGE EXTRACT, POTASSIUM BENZOATE (A PRESERVATIVE), CALCIUM DISODIUM EDTA (PRESERVE FRESHNESS). 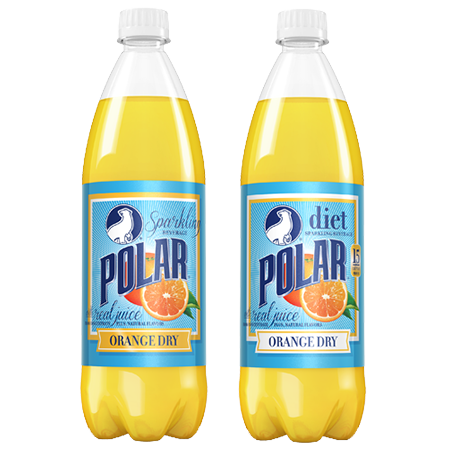 DIET POLAR ORANGE DRY • CONTAINS CARBONATED WATER, ORANGE JUICE FROM CONCENTRATE, CITRIC ACID, NATURAL ORANGE EXTRACT, ASPARTAME, POTASSIUM BENZOATE (A PRESERVATIVE), CALCIUM DISODIUM EDTA (PRESERVE FRESHNESS).